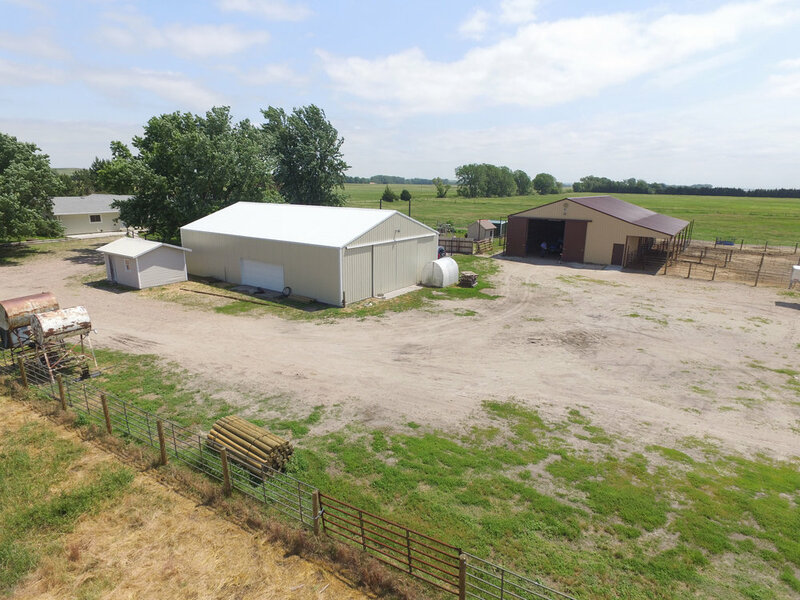 A very nice and clean 14.25 acre horse property located north of Hershey NE in western Lincoln County. 3 bedroom ranch style home, large garage/shop, newer horse barn, steel pens and Red River roping arena. This is a very good opportunity. Horse owners take a look here, this very nice and clean acreage with oil road access is ready for you. The 3 bedroom, 2 bath ranch style home is 2,496 sq ft, built in 1982 and features a spacious open floor plan. There are 2 bedrooms on the west end with a bathroom and the master bedroom and bath are on the east end. There is a patio off the master bedroom and the family room. The kitchen, dining area and family room are in the center of the home. There is a wood burning stove in the family room. The back entry of the house opens to a mud room with sink and laundry. The basement is small and contains the mechanical room for the house. Included here is the On-Demand hot water system, H-VAC system, water pressure system and electrical panel. This area opens to the crawl space which is completely lined with a Thrasher Basement vapor barrier to resist moisture and keep it clean and dry. Also included is a very nice 40'x60'x12' Steel shop/garage with full concrete floor, (2) 10'x8' overhead doors with openers, (1) 16'x7' overhead door with opener, 17'x12' door with sliding doors, 110 volt electrical outlets all around and a 220 volt power outlet in northwest corner. 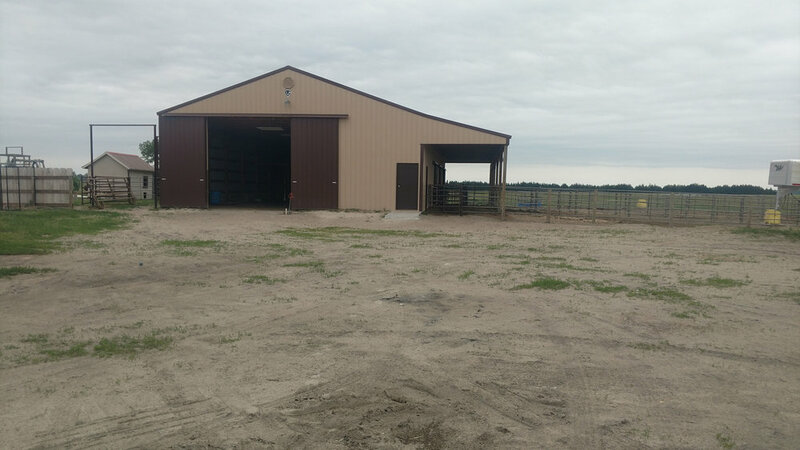 The Vap Construction horse barn has large drive through doors on the west and east ends, an enclosed tack room with saddle rack, a feed room, 2 hay lofts, electrical outlets all around and 3 box stalls with fenced runs. The south side of the barn has a lean-to that provides protection over the runs. The well made corrals are made out of continuous panels on wood posts and steel gates with overheads. Stock water is provided by 3 Ritchie waterers. A lean-to provides protection in the small pen behind the barn. There is an alley along the north side of the barn for sorting or loading livestock. A 160'x280' Red River roping arena is located just south of the corrals. It includes an automatic roping chute, stripping chute and return alley. There is a large lot just off the catch pen on the south end of the arena to keep livestock. Also on the property is a smaller out building for storage and small chicken house or play house depending on your needs. The grass grazing area of the property is divided into 2 paddocks. There are water hydrants in several areas to provide water to livestock. The property has it's own water well, septic system, propane tank and underground sprinkler system for the lawn. There are many mature shade trees. Electricity is provided by Dawson Public Power District. There is a dog kennel near the horse barn. 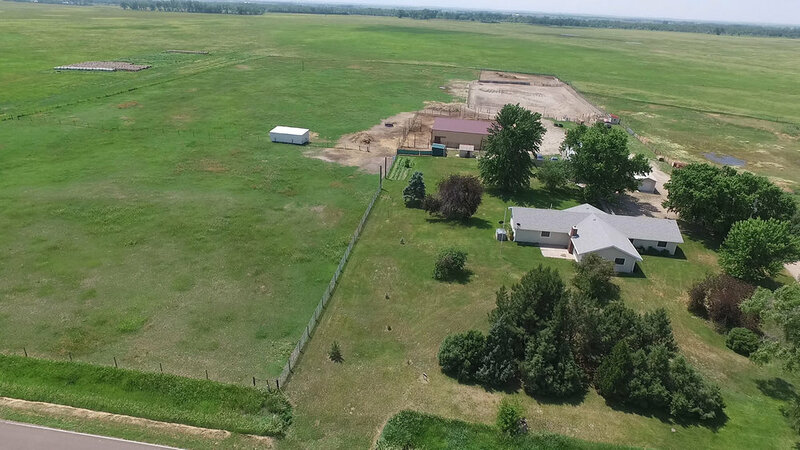 Located in the much sought after Hershey School District this property offers quick access to I-80 south of Hershey and is 20 minutes from downtown North Platte. Shown by appointment only please call to schedule your viewing of this outstanding opportunity.